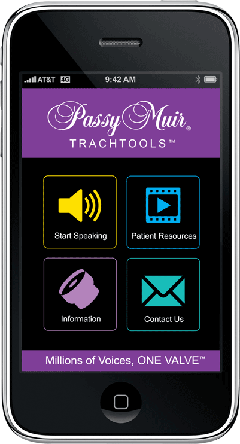 Passy Muir is committed to improving the quality of life for patients with tracheostomy and ventilator dependence.  We offer an array of tools designed and developed to best meet the educational needs of medical professionals and facilities. 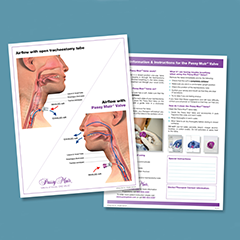 Our suite of anatomical teaching models, plush therapy hand puppet, and patient education sheets are effective tools that can be used to educate patients and families about tracheostomies and the proper use of the Passy Muir® Valve. Tracheostomy T.O.M. is a portable, durable polyurethane elastomer model mounted on a clear, acrylic platform that depicts a midsagittal view of the nasal cavity with nare, oral cavity, pharynx, trachea, and upper esophagus of a tracheostomized adult. A “stoma” is provided in the lower neck area to allow for demonstration of the effect of various aspects of tracheostomy care, and tracheostomy placement issues. The nare is open, allowing insertion and placement of a suction catheter or nasogastric tube. The flexible tracheoesophageal wall allows for demonstration of the effects of an overinflated tracheostomy tube cuff on the esophagus. Pocket T.O.M. is a more portable version of our standard Tracheostomy T.O.M. model. It is small enough to fit in a coat pocket but big enough to demonstrate tracheostomy placement and possible complications. 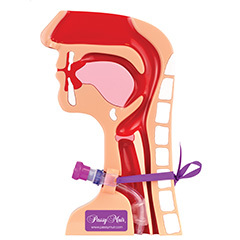 Tracheostomy P.A.M. (Pediatric Airway Model) is designed for use by healthcare practitioners to educate students, families, patients, and clinicians about tracheostomy in the pediatric airway and the proper application of the Passy Muir Valve. P.A.M. is packaged with helpful educational accessories to enable clinicians to provide a wide variety of education related to tracheostomy. The kit includes three demonstration Passy Muir Valves, a cuffed tracheostomy tube, and syringe for education and practice related to use of speaking valves with and without a ventilator. A nasogastric tube is provided for the display of nasogastric intubation. 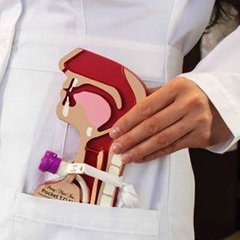 A customized Tracheostomy P.A.M. product package is provided for easy storage and transport of the entire P.A.M. kit. Toby Tracheapuppet Therapy Hand Puppet is a therapist’s best friend and a child’s best companion. 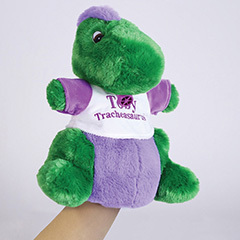 Toby Tracheapuppet plush therapy hand puppet provides therapists and caregivers with a lighthearted method to introduce children to tracheostomy and the Passy Muir Valve. 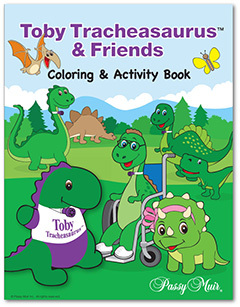 The Toby Tracheasaurus Coloring & Activity Book contains a variety of activities, such as Toby mazes, dinosaur connect the dots, and vocalization exercises. Along with these fun teaching activities, the 28-page book also includes coloring pages of Toby and friends. Get the Bound Toby Coloring & Activity book in store for $6.00 or download the free PDF version.